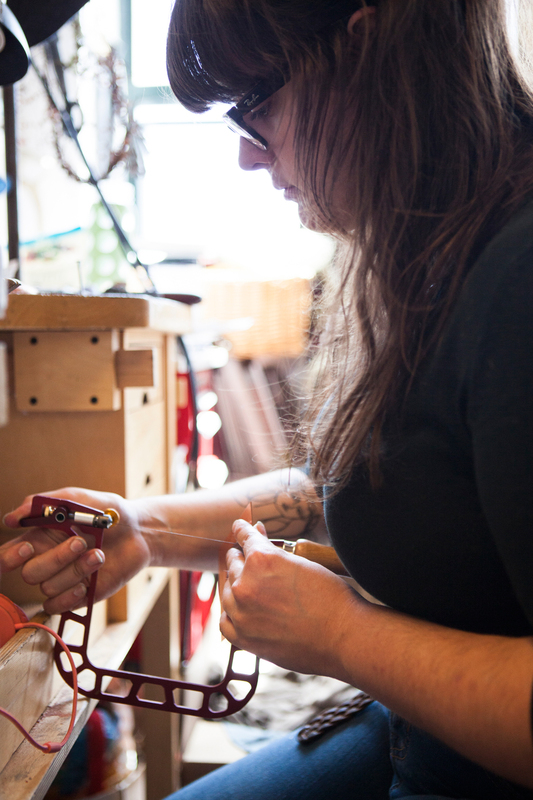 Facilities are equipped for jewelry making and traditional holloware. 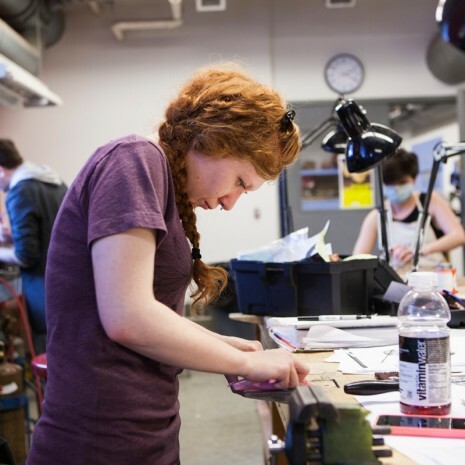 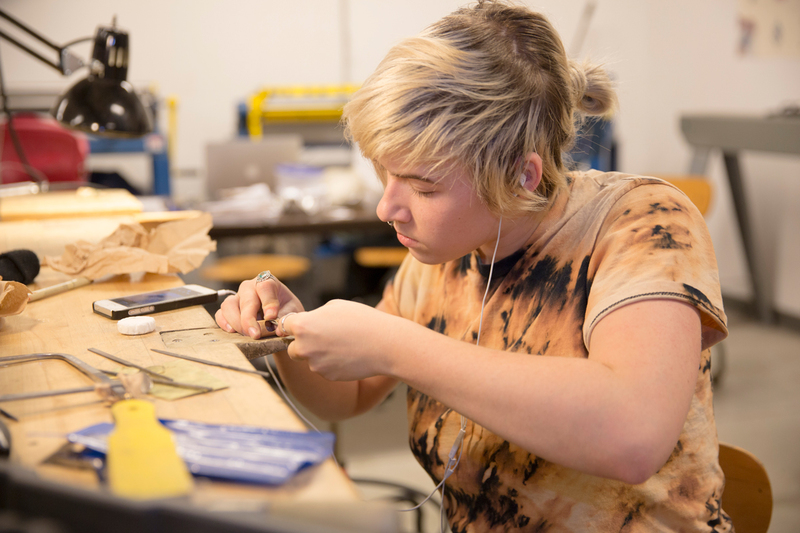 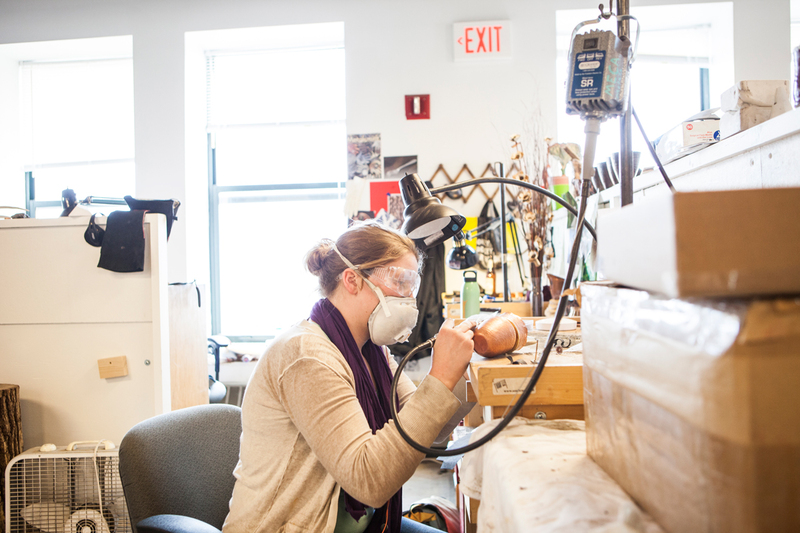 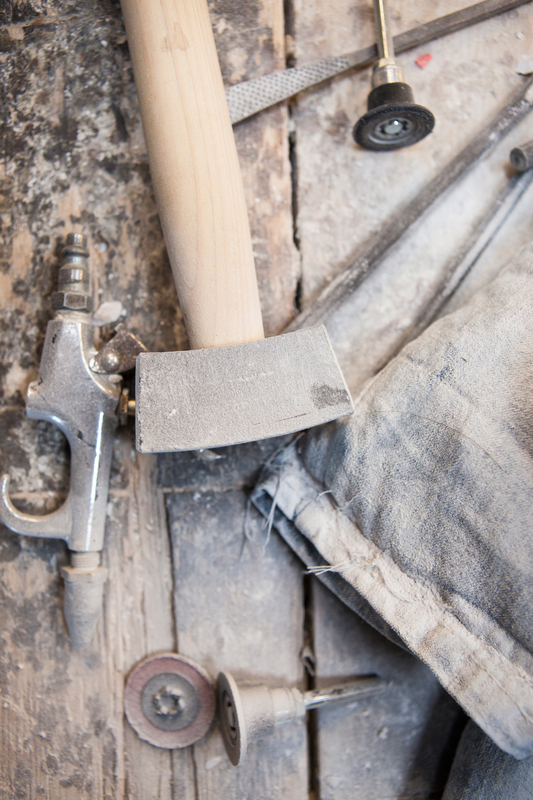 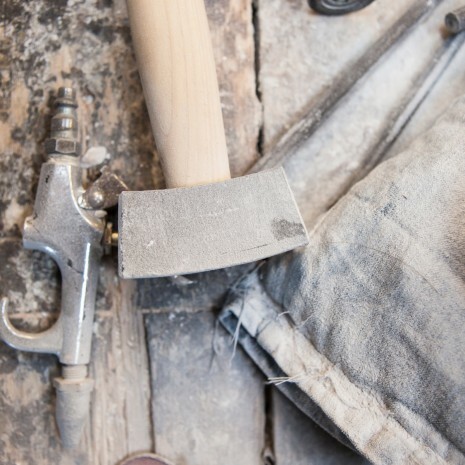 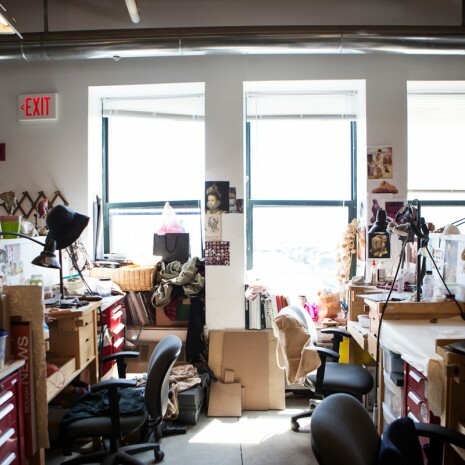 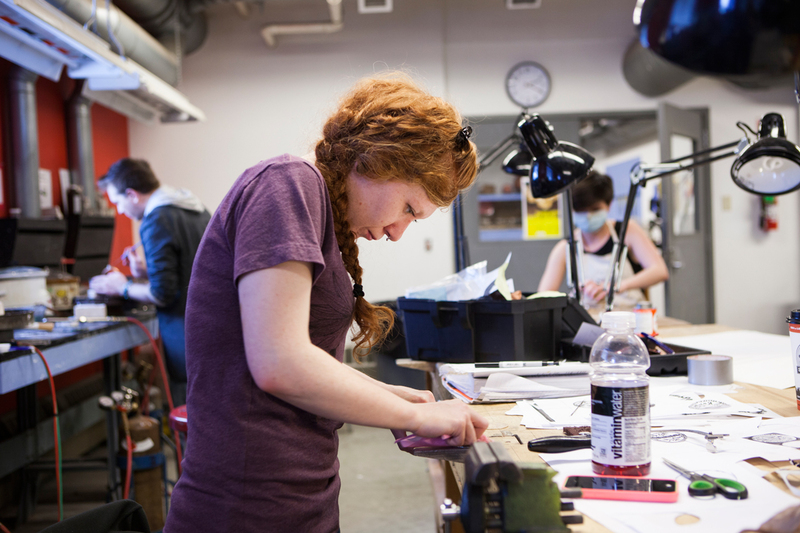 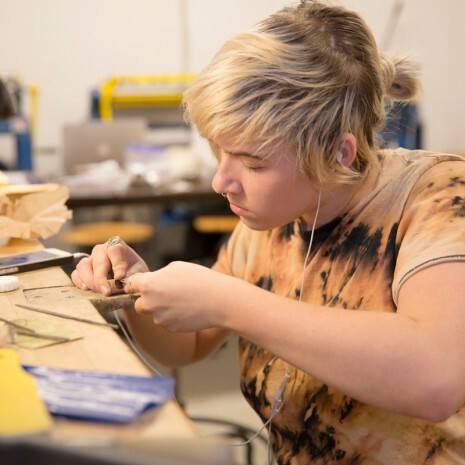 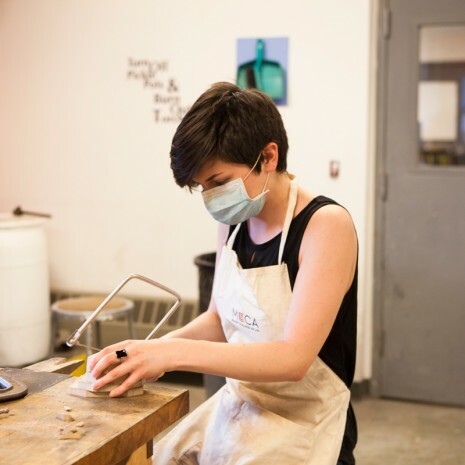 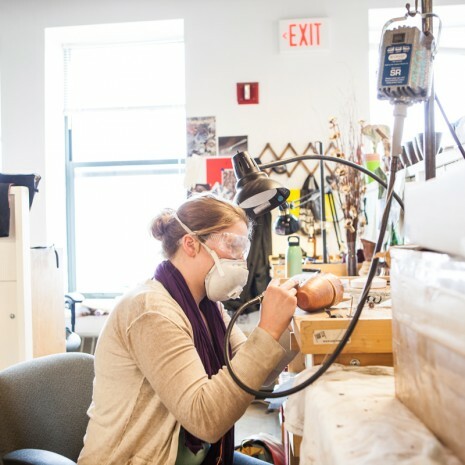 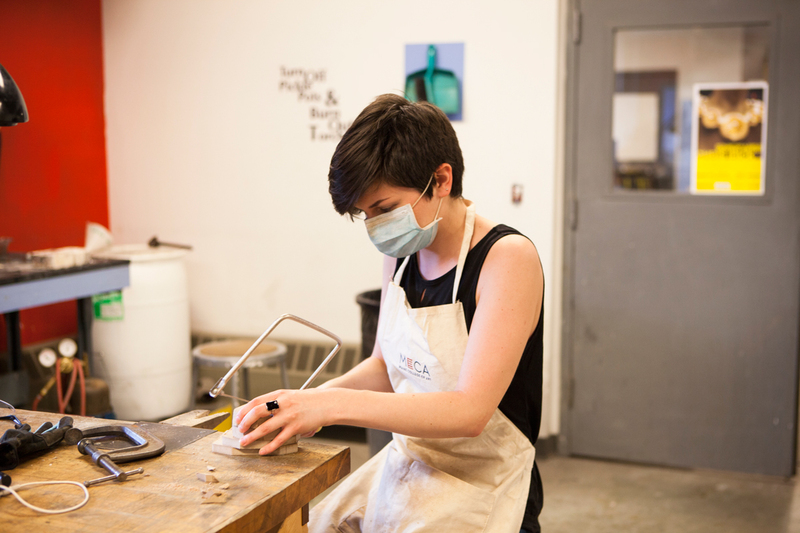 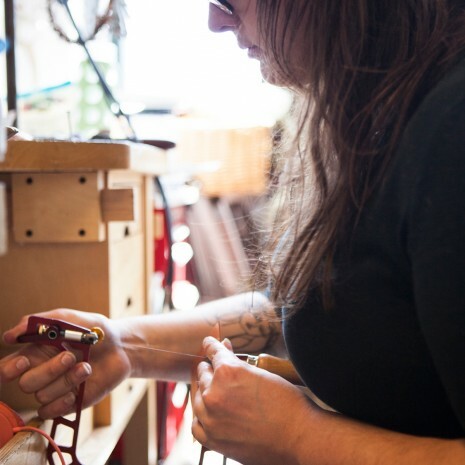 Each major will have their own bench and full access to studio equipment that includes casting, enameling, forming, and raising facilities, a small-scale lathe, desktop 3-D printer, and a CNC router. 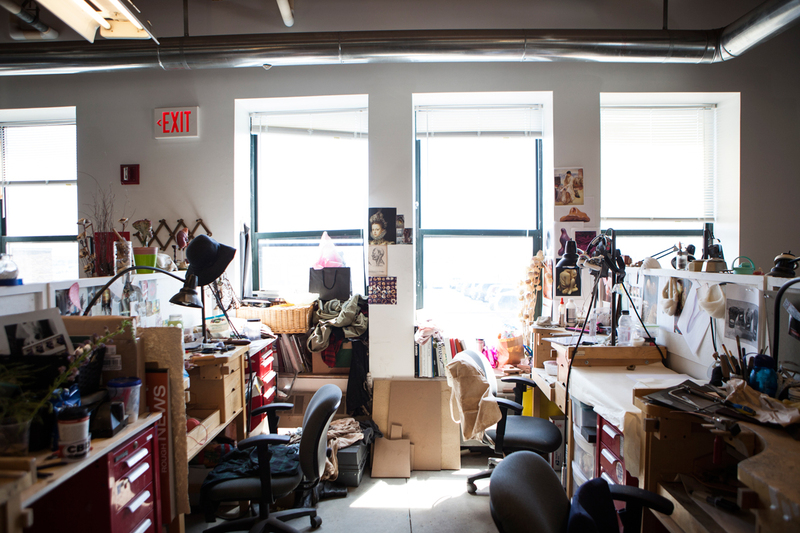 Please click on thumbnail to enlarge photo.